With winter finally fading into the distance, and spring upon us, many homeowners out there are looking forward to throwing open their homes and tackling some long overdue home improvement projects this spring. The only question becomes one of which projects are you going to try and accomplish during this period of milder temperatures and weather? For many contractors, their schedules are booking up very quickly, and if you are looking to have any major remodeling projects done around your home this spring, now is the time to schedule them, before your contractor’s schedule books up completely. If you are certain that you want to tackle a new home improvement project around your home this spring, but you just aren’t quite sure which one is calling your name, then this short article is for you. Take a few minutes to read through this short article that our team of remodeling professionals have put together highlights several of the most popular springtime remodeling projects among homeowners all over the country. When it comes to enhancing the function of your home, as well as it’s overall appearance, there are few projects that can do so as well as a kitchen remodel. When it comes to remodeling the kitchen, new cabinets are always a popular choice, and can be a great option for enhancing your storage space and better suiting the space to your specific needs. On the other hand, if you are looking for an aesthetic update, or a functional one, a full kitchen makeover, complete with new appliances is a great way to do so. Not only will a kitchen remodel significantly increase the value of your home overall, but it will ensure that your kitchen has exactly the kind of functionality that you and your family require of the space. The bathroom is one of the most frequently used rooms in the entire home on a daily basis. Between getting ready for school and work in the morning, getting ready for bed at night, and various trips throughout the day, your bathroom sees a great deal of use, so doesn’t it make sense for your bathroom to be a room that you enjoy spending time in? Many homeowners choose the springtime months to finally update that old, outdated bathroom that they just can’t stand anymore. With a bit of help from our professionals, we can help you replace that old shower, or plumbing fixtures with something more modern and efficient that helps to enhance your use of the space. Not only will a bathroom remodel go a long way to helping increase your enjoyment of your bathroom spaces, but it can also provide your home with a significant boost in value as well. If you are like many homeowners, you can easily start to find you and your family outgrowing your home over time. That being said, picking up and moving isn’t always going to be a feasible option, so why not take the opportunity this spring to invest in that brand new home addition that you’ve been dreaming of? A home addition can be an excellent way to improve on your home, giving you a versatile space that can be tailored to fit any need. Are you in need of a new guest bedroom for visiting relatives, a new room for the kids? A new bathroom? Or even an expanded family living space? Whatever the case may be, a new home addition can bring your home that extra level of function that you’ve been wishing for. 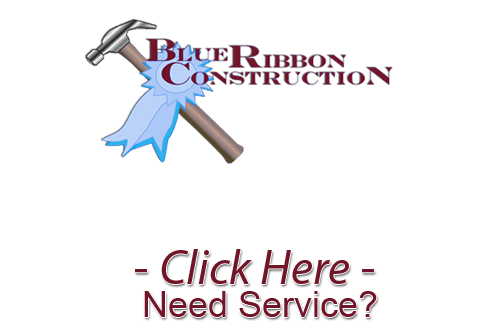 Call Blue Ribbon Construction for more information today! If you are looking for a professional remodeling contractor in Wichita, give us a call today at 316-871-4815 or fill out our online request form.